dal giorno che sei andata via. con le stelle e con la luna. come lacrime che non cadono. di un amore che non muore. Vieni, vieni, via con me. since the day you left. with the stars and with the moon. like tears that do not fall. of a love that does not die. I can only love you so much. Come on, come on, go with me. This piece of Boomercup fanart, as part of KatyGorl’s Claim a PPG Pairing Month last September, is dedicated to Jonathan Maxwell Peterson aka KingofSupremeChaos, Fairy Star Guardian aka OperaticAnimeNimue, and Charles Morgenstern aka TetraModal who celebrated their birthdays several days ago. So, I hope you guys had wonderful, blissful, and exceptional birthdays and I wish you abundance and joy in everything you accomplish as artists and people. 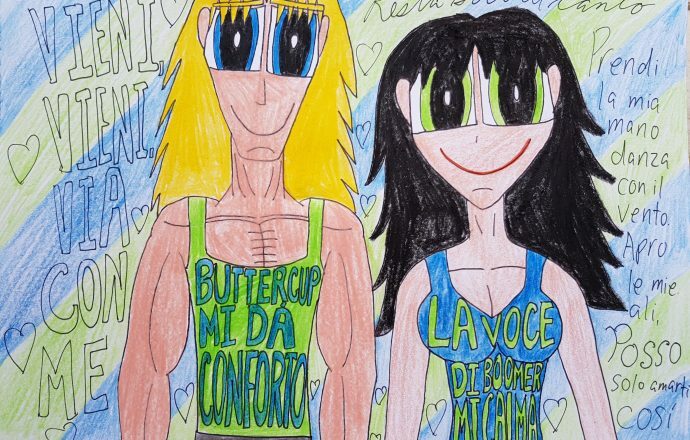 Ah, Boomercup or Boomer x Buttercup, a pairing I can easily classify as a very cute, innocent pairing between The Fleet Athlete and The Toughest Fighter. Like I said when one combines Boomer’s sympathetic, lovable, and endearing dumb muscle nature with Buttercup’s feistiness, fiery attitude, and independence one gets a pairing that is quite flexible. Sure, in my opinion, it does not approach the OTP level that Brickercup, Blossoomer, and Boomubbles ended up achieving but Boomercup still manages to leave a fuzzy feeling inside of me. I first heard “Il Canto” originally sung by Luciano Pavarotti ever since I was twelve years old and this song was part of my life growing up. Three years later, I listened to Katherine Jenkins’ version and I also loved it. Moreover, just last night, I watched Jonas Kaufmann’s version of this song and I thought he was great as always. 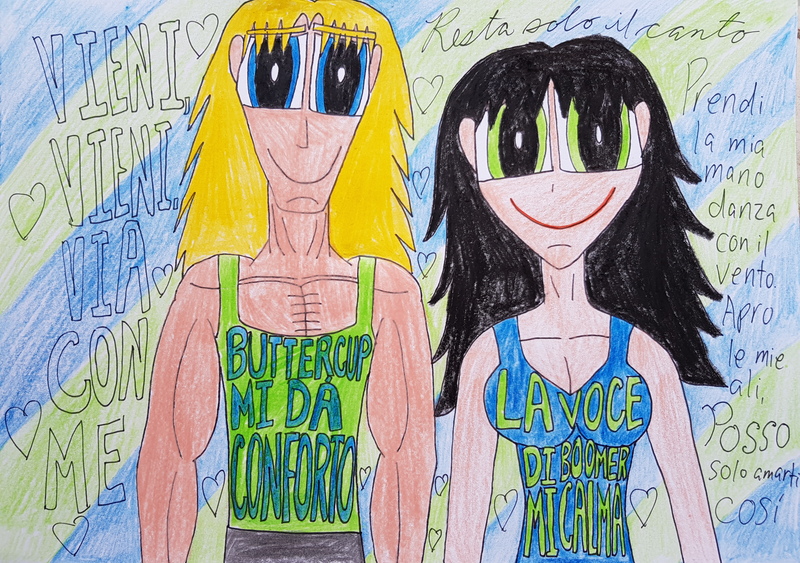 I figured that Pavarotti’s and Musumarra’s Il Canto would be a nice fit to Boomer and Buttercup as a couple, as it manages to be a sweet, moving song. So, I hope you enjoy listening to Pavarotti’s, Jenkins’, and Kaufmann’s versions of this song, as you gaze at the sweetness that is Boomercup. Boomer and Buttercup from The Powerpuff Girls belong to Craig McCracken and Cartoon Network.